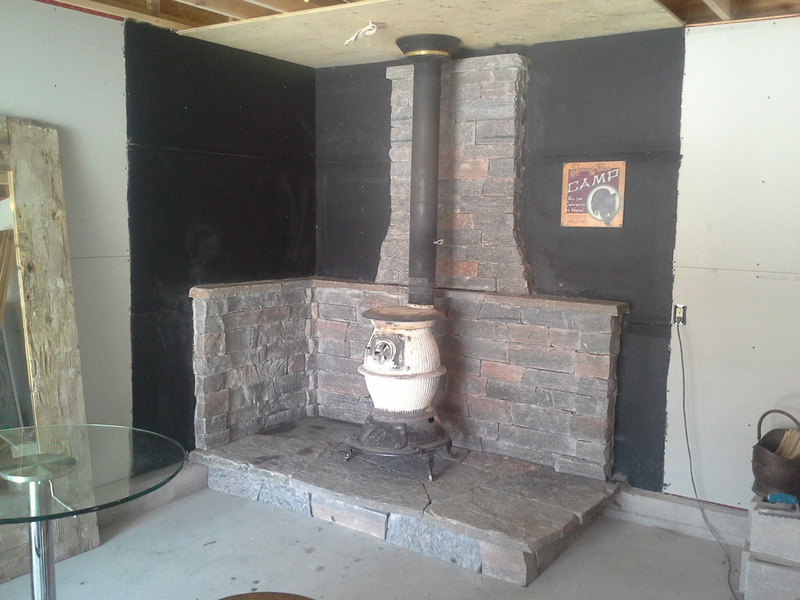 A free standing wood stove with a stone back wall. 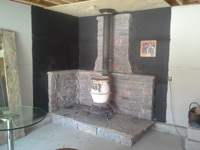 There is a fan system built into stone wall that circulates warm air out of base. 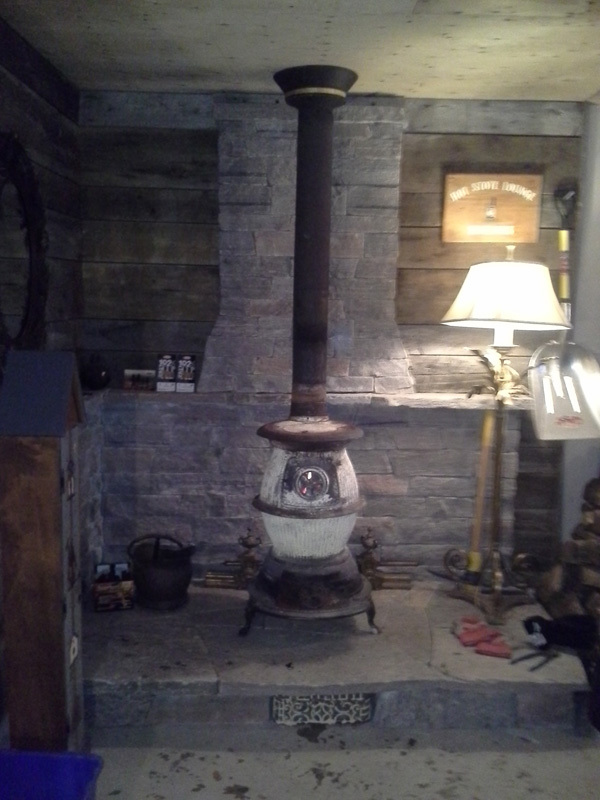 Also a dry stack look with stones shaped to fit tightly.